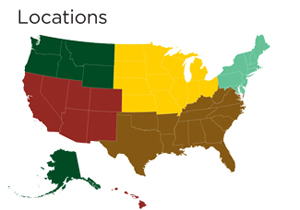 The Oregon Association of Nurseries provides a range of respected publications that are the go-to resources for green industry professionals looking to buy nursery supplies, related services and plant material. From print to digital, the OAN is here to help you connect with our targeted audience and achieve your sales and marketing goals. 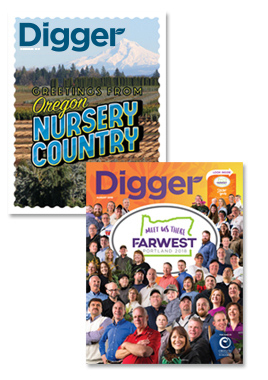 Digger is widely regarded as the best trade magazine published by any state nursery association, and a great place for your marketing message. More than 7,600 green industry professionals from all over the United States subscribe to Digger, including growers, landscapers, retailers, brokers, researchers, and service and supply providers. 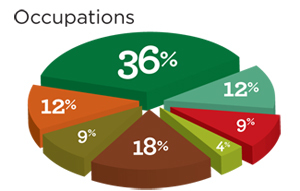 What's more, 57 percent share their copy with their colleagues and friends. Distribution grows to 11,000 copies in August, with the official Farwest Edition of Digger. 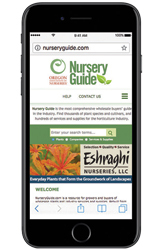 The OAN Nursery Guide is the best available resource for green industry professionals who are searching for wholesale plants, nursery supplies and related services. With nearly 20,000 listings in more than 5,200 different categories, it gets used all year long by growers, landscapers, suppliers, retailers and brokers. 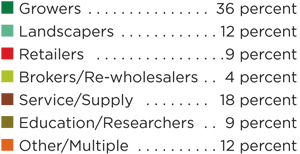 The hard copy book is distributed to 6,500 motivated buyers by mail, at the Farwest Show, and at CanWest, MANTS and Cultivate. Ready to connect your retail business with local gardening customers who are eager to purchase plants, supplies and services? 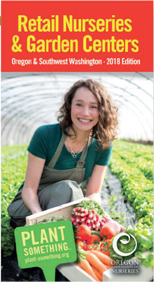 Take advantage of the advertising opportunities offered in the colorful Retail Nurseries & Garden Centers Road Map, updated annually in February. We distribute 25,000 copies via the Portland Home + Garden Show (fall and spring), Portland Street of Dreams tour, garden retailers, gardening events, area visitor centers and local garden clubs and master gardener groups. Eager gardeners will discover nursery retailers from all over Oregon and S.W. Washington who are members of the Oregon Association of Nurseries, as well as landscapers, mail order nurseries and public gardens. Year-round activity and routinely updated. 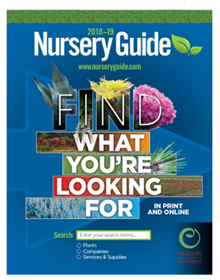 The digital version of OAN's Nursery Guide — the best available resource for green industry professionals who are searching for wholesale plants, nursery supplies and related services — helped approximately 116,890 unique visitors find what they needed and earned more than 671,000 pageviews throughout last year (Google Analytics, 2018). 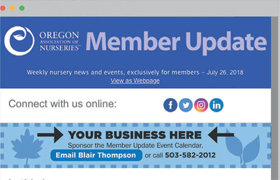 The OAN Member Update is emailed weekly and reaches nearly 1,000 individuals working for more than 800 OAN-member companies, including growers, retailers, landscapers, suppliers and others who support the nursery trade. With an impressive open rate, it provides strong visibility for your brand and products. The Oregon Association of Nurseries offers a variety of event sponsorships to provide your brand with positive exposure. Visit www.oan.org/sponsorships for the details.